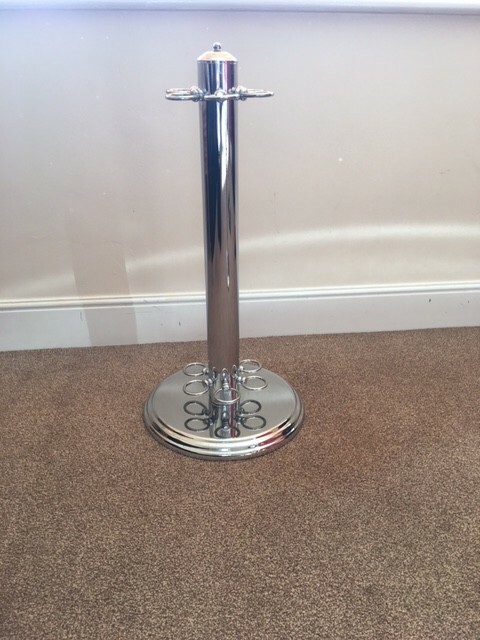 Here we have the Chrome Cue stand. 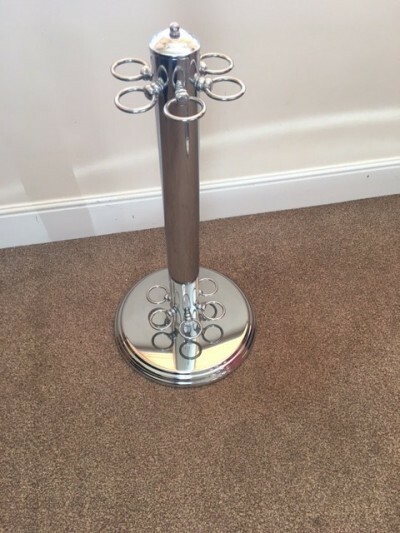 The stand hold 6 x cues. A very stylish rack that holds the cues securely. Fantastic solution for storing cues. Looks amazing in any room.